Rarely available, Beautiful Home with Large PRIVATE TERRACE off Living Room! Features include Floor to Ceiling Windows, Ivory Oak HW Floors, Glass Tile Backsplash, Bosch Appliances, Wine Cooler, Kitchen Granite Island, Additional Custom Cabinets & Granite Countertop in Kitchen, Built-In Custom Entertainment Center, Lighting, Marble Spa-like Master Bath with Double Vanity, & Ample Closet Space. 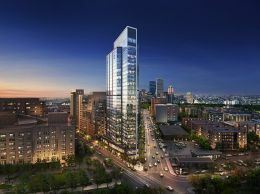 Enjoy Luxury Living at Millennium Place, Midtown's Full Service, Luxury Residential Building conveniently located one block from Boston Common & across from Ritz-Carlton Hotel/Equinox Sports Club. 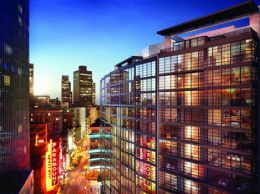 Easily accessible to the Financial District, public transportation & major highways. Residents will enjoy incomparable 5-STAR Service & Amenities, including 24-hour Concierge, Dual Entry Doormen, Owners Lounge with Fireplace overlooking Private Garden, Private Dining Room, Club Level Concierge, Stadium Style Theatre Screening Room, Fitness Center, Pilates, Yoga, Massage Studios & Children's Playroom.